It’s late October, 2007, and Prof. Wendy Coleman has just learned about a competition called the Bayer Dream Fund. Coleman, a type 2 who was diagnosed in 2005, has been told that the fund grants a large cash award to the competition winner – money the winner can use to fund a personal project designed to spread the word about managing and living successfully with diabetes. 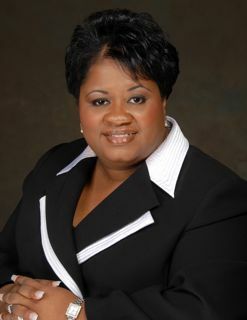 One day before the deadline, Coleman submits her quickly assembled entry, then returns to her hectic routine as the Director of Theater Ensemble and Speech at Albany State University in Georgia. Weeks pass and Coleman almost forgets about the competition. Coleman says her drama students, sensing a rare chance to go on tour, are clamoring to be among the actors she picks for the play. “Suddenly I’m seeing them paying a lot more attention and being extra studious,” she chuckles. She also notes that news of her Dream Fund grant and project has inspired several friends and colleagues to reveal that they, too, have diabetes. For more information on Coleman and her upcoming productions, please visit http://www.BayerDreamFund.com or http://www.bayerdiabetes.com/us. The inspiration for the fund came from John Dennis, who approached Bayer to fund his dream, which was to be the first and only person with diabetes to successfully compete in the historic “Around Alone” global yacht race. Bayer believed that helping Dennis achieve his dream would help to inspire others with diabetes. The company, seeing an opportunity to recognize people with diabetes who have inspirational dreams, established the Dream Fund to recognize inspirational people and to help them accomplish their extraordinary goals. Jennifer Scarsi, who toured the country with a grassroots program she created called “Lights, Camera, Cure” to increase diabetes awareness and education and to empower young people with diabetes.